Solange’s hair evolution is a thing of beauty dreams. 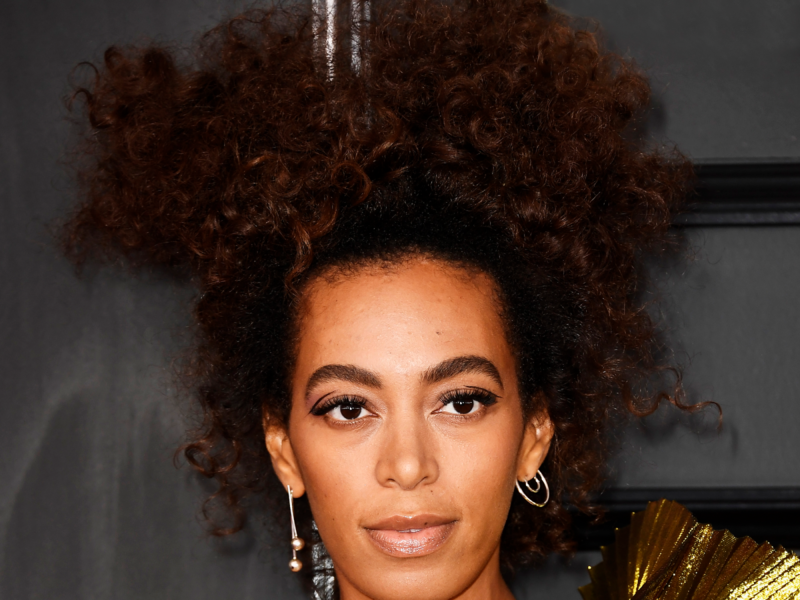 From short coils and braids, to sculptural updos and Diana Ross-level volume, the 31-year-old has already offered up enough inspiration to last us a lifetime. Now, in the midst of the most risqué fashion week yet, the singer debuted not only a new style, but a drastically new hair color, too. Earlier this week, Solange announced that she’d be heading to Woodbridge, New York this weekend to perform her newest piece called “Musical Meditation.” While fans scrambled to purchase tickets for one of the afternoon slots, the singer seemed to be busy with something else: changing up her look entirely. The last time we caught a glimpse of Solange was at the 2017 Budweiser Made in America festival. Her hair: long, curly, and the lightest we’d seen it in awhile. But if you thought her auburn highlights were bright, just wait until you see the color she chose for her surprise set today. While performing during Maryam Nassir Zadeh’s show in New York, Solange ditched her signature brunette color for her blondest yet. Her long platinum strands were tied in beautiful braids and twists with decorative beads. Then, later this afternoon, the singer posted another photo to Instagram wearing a blonde afro, fueling rumors that the lighter look might be here to stay. And while we thought Kim Kardashian had the most shocking hair transformation of the week, she better be prepared to share the spotlight with Solange because this is a look we won’t stop talking about for awhile. We’ve reached out to Solange’s hairstylist for more information and will update this piece when we hear back.